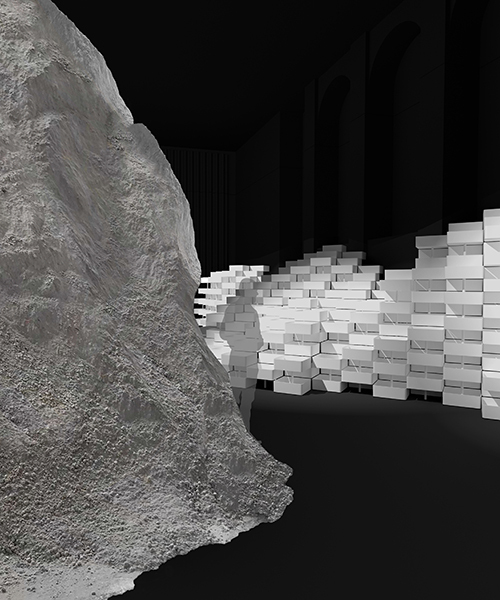 the exhibition space is conceived of as a labyrinth of ninety massive, occupiable columns, some of which are large enough to fully enter. 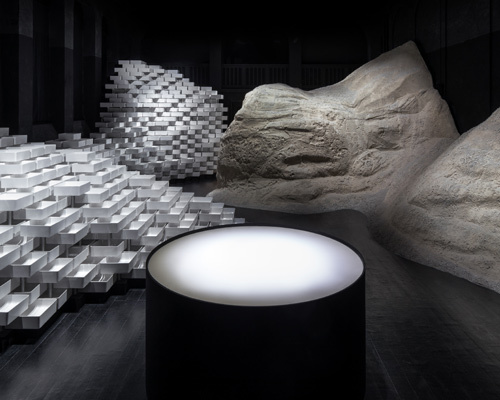 from clay to ceramic, snarkitecture captures the transformation of the raw material into unique, excelling bathroom products by LAUFEN. 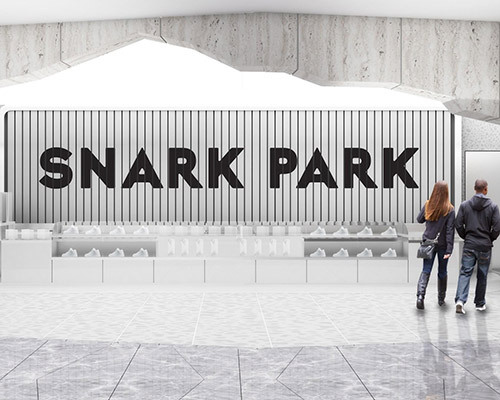 the snark park will offer museum-quality installations together with a strong lineup of partnership programming. 'bounce' is an interactive installation set in the commercial district of harbour city that allows visitors and passersby to roll, lift and toss hundreds of supersized white balls. 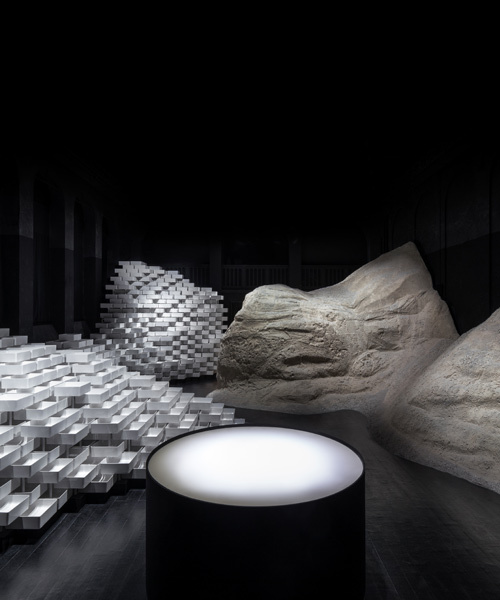 during milan design week 2018, in an amphitheater of altered states, caesarstone + snarkitecture pays homage to the center stage of the home: the kitchen island. will the placebo effect of slipping keep you from sitting? the archetypal 'kitchen island' is reincarnated as an experimental landscape of smooth surfaces that draw from architecture, topography and the natural world. the rugged shoe design is based on the artist's interest in archeology and old relics. 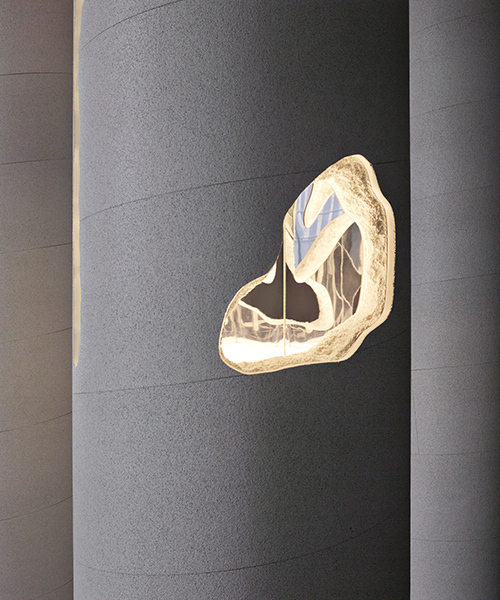 for the italian luxury leather company's 80th anniversary, a pop up made of billowing white and muted textiles envelops the retail space. for the third annual crown awards, highsnobiety and designboom have teamed up to announce the winner and runners-up for best store of 2016.
the interior has been crafted with custom terrazzo panels that form a gradient from white to blue with the idea of adding a touch of miami flavor. the exterior of the aircraft has been re-imagined with an ombre sky motif, representing the tonal horizon seen during dawn or dusk when flying. the installation comprises four candy canes, each measuring approximately 9 meters in length and nearly 90 centimeters in diameter. 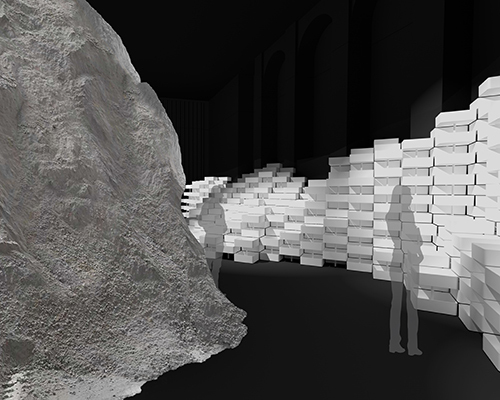 'the beach' brings the quintessential summer experience to washington, D.C, transforming the museum's monumental great hall into an immersive, sensory playground. apparel that uses allover prints of white building materials, that allow the wearer to blend into their architectural surroundings. 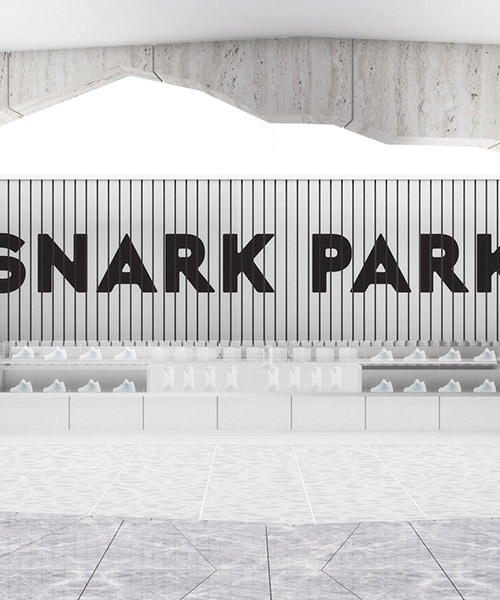 snarkitecture is a brooklyn-based collaborative practice founded by daniel arsham and alex mustonen. accompanied by cast marble pillow, the limited edition headphones feature adaptive noise canceling, a 20-hour rechargeable battery, and remotetalk capabilities. 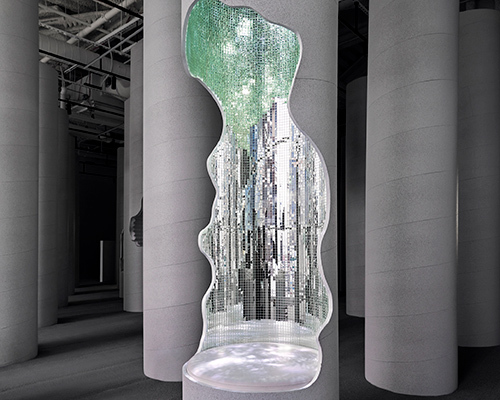 the welcoming pavilion at designmiami/ 2012 features countless inflated tubes that create an inverse cavernous topography. combining the natural world and the craft world is a custom shelving system, echoing carved crusts of earth. on a stage devoid of props or scenery, thousands of ping pong balls serve as both set and performer in 'why patterns', where dancers interact with the balls in a series of games and spectacles.